We rarely cover news on the blog but there are so many recent developments that it is worth covering the most important ones. The biggest LEGO news of the week is the announcement of the new Mindstorms that is called EV3. It brings many-many new features starting with Android and iOS integration and also including 3D building instructions on an iPad. The biggest news however is simplification: the new EV3 brick can be programmed without connecting a computer. The goal of LEGO is that anyone should be able to build a working robot in 20 minutes after opening the box. You will be able to get it from stores in the second half of 2013 around $349. First half 2013 sets are in stores already but we already have bits and pieces about the second half. 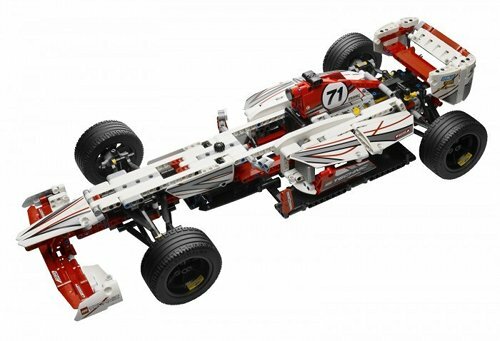 You can see the full Technic range here but there are also many interesting new sets in the Creator line as well. Our favorites are the 42000 Grand Prix Racer and the 31004 Firece Flyer. By the way: starting from 2013 all sets have a five-digit number. I like the second one quite a bit: an inverted tile that can be attached to the bottom of bricks. I hope an inverted slope is also on the works. I could also make use more colors - I probably have more wishes than I can afford. In any case, we look forward towards an exciting 2013.